Pakistan’s chief of army staff is in Riyadh to expand their strategic partnership. In his first trip abroad since replacing General Ashfaq Parvez Kayani in November 2013, General Raheel Sharif, Pakistan’s Chief of Army Staff, left on a three-day visit to Saudi Arabia. Sharif will meeting King Abdullah and the entire gamut of top Saudi military officials. According to DAWN, Sharif will focus on defense and security cooperation and address a range of issues, pushing for a “new era in the strategic partnership” between Saudi Arabia and Pakistan. The visit will serve as a sort of meet-and-great for Sharif who has now been Chief of Army Staff for a little over two full months. Saudi Arabia’s defense and security ties with Pakistan hinge on a close relationship with the powerful Pakistani chief of army staff. Sharif may also discuss more mundane issues in the Kingdom such as Pakistan’s plans for the joint China-Pakistan JF-17 Thunder jets that Riyadh has allegedly expressed some interest in purchasing. Relations between Saudi Arabia and Pakistan have always been close–Saudi Arabia sees Pakistan as an important partner in South Asia and has purchased Pakistani small arms in the past. Relations cooled slightly following General Pervez Musharraf’s departure, with the Pakistan People’s Party’s government less receptive to the Saudis than prior Pakistani governments. Nawaz Sharif’s government has made attempts in its first year in power to return the bilateral relationship to its normal state, and Raheel Sharif’s visit will continue the momentum. For Saudi Arabia, Pakistan is an important partner in its bid to contain Iran and Sharif’s visit so soon after Turki bin Faisal’s trip to Islamabad will send an alarming signal to Tehran. Close defense and security ties with Pakistan will help Saudi Arabia maintain its regional dominance with the assistance of an important non-Arab ally. Sharif’s visit to Riyadh is unlikely to result in any major deals, but all signs point to closer ties between Pakistan and Saudi Arabia. Expect defense hardware deals, military exchanges, and training cooperation in the future. 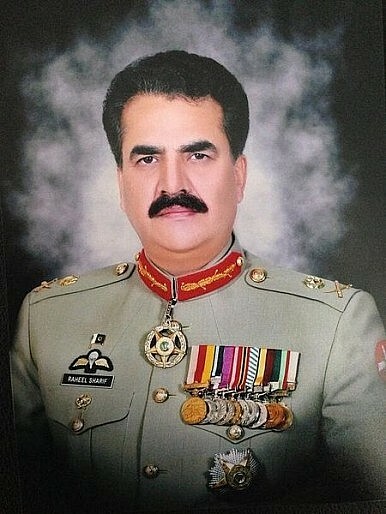 Less than two months after his retirement, Raheel Sharif is poised to lead a global coalition against terror. Why Is Pakistan Interested in Brokering Peace Between Iran and Saudi Arabia?New Trends in Pakistan-Saudi Arabia TiesPakistan’s Governance Changes Won’t Be Enough to Offer It Economic SalvationPakistan-Saudi Arabia Relations in the Khan EraWhat Will Pakistan-Saudi Arabia Ties Look Like Under Imran Khan?